The first mission began as three people working out of a small apartment, trying to solve one of the biggest problems facing Shopify merchants: recurring payments. Now we’re at the forefront of recurring billing software, empowering thousands of entrepreneurs to sell their products as subscriptions, and processing tens of millions of dollars in sales every week. Our culture is remote-first and we stay connected every day using Slack and video chat. Being part of a small, fast-growing company is exciting. 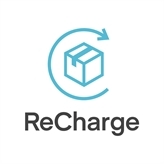 The opportunities to grow and take ownership at ReCharge are endless and we’ll make sure you have everything you need to do your best work and make a big impact. The best people are everywhere, not just in the radius around our headquarters in Santa Monica, California. Work is an action, not a place at ReCharge and that’s why we've expanded our horizons from the Andes in Argentina to the Rockies in Denver, Colorado. By expanding our reach to build remote-first teams we've been able to uncover outstanding talent around the globe and are rapidly approaching 100 employees. The ReCharge team maintains a work-life balance approach. We understand that hobbies exist and encourage our employees to pursue them. After joining you'll quickly find you have teammates that surf, sail, cycle, read (hardcovers! ), tour the country in bands and festival hop - all while doing great work and exceeding expectations. Above all, we realize if you empower people to pursue their passions, they will help change the world. Want to get notified about new jobs at ReCharge Payments?